Get yourself a 25-piece biscuit maker set! Contains one pump machine to press out the biscuit. With a ratchet drive mechanism and machined steel piston rod. You can also adjust the biscuit thickness easily! With 20 different cookie blades to create a wide variety of shapes. 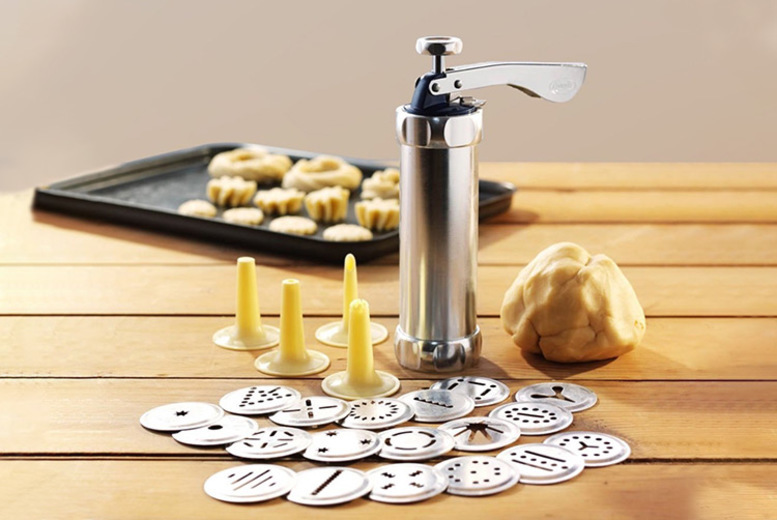 Along with four nozzles for decorating your biscuits.